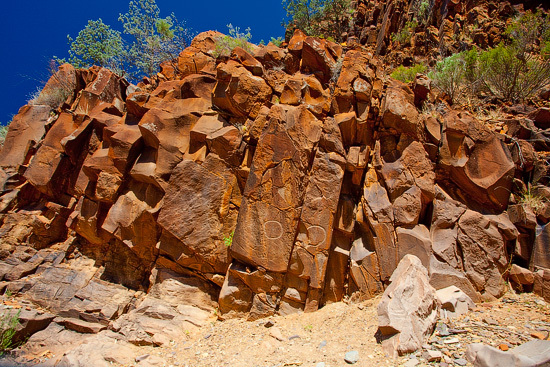 Sacred Canyon is one of the places in the Flinders Ranges National Park where you can explore some nice examples of the Aboriginal Art. Comparing to other similar places, Sacred Canyon offers images that were engraved onto the stone surface, not painted with ochre or charcoal. 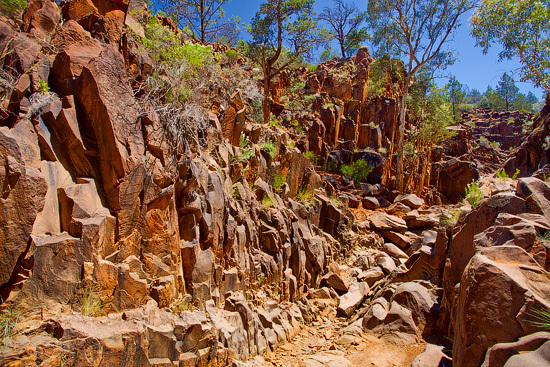 Canyon is located in the south-eastern part of the park and forms a bed of the dry river. 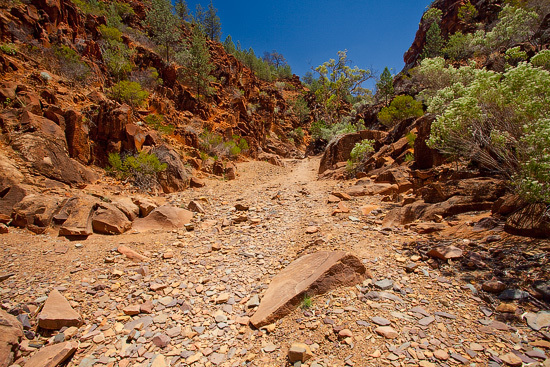 To get there you’ll need to follow an unsealed 13 kilometres road suitable for most cars. 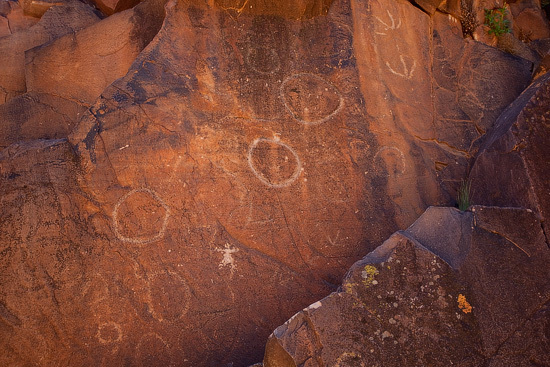 Engravings, or petroglyphs, can be found on the walls of the canyon. At first, without practice, it is quite hard to find them, but later, when you know what to look for, it is very easy to spot these images. Most of the engravings look like a series of circles and lines and represent a camp site, spring, water hole and etc. Among these lines, images of animal tracks and human-like figures can be found. 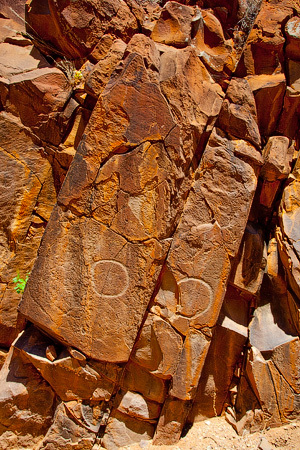 The age of these petroglyphs is not known, but local aboriginal people believe that they were created by ancestral beings during a Dreamtime. 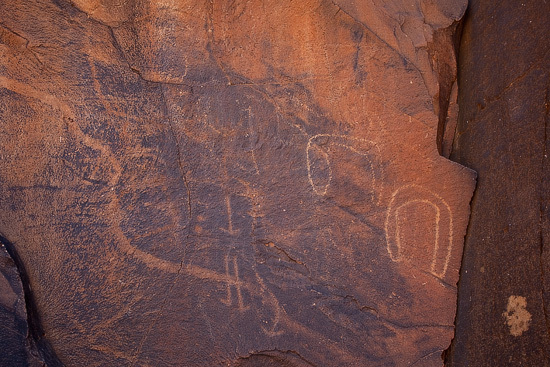 Unlike other similar places, images on this site are not behind the bars or fence – you can explore them from a very short distance, but please don’t touch them – it may damage these ancient engravings and also considered as a great offence of Aboriginal community.